Presenting the first in a series of Wellness Workshops! Join us Saturday, Nov 25, 12:15pm for Wellness Workshops Basic Nutrition. This first workshop in our Wellness Workshop series is presented by Brianna Thielmann, a Vancouver-based health and wellness coach as well as a Registered Holistic Nutritionist and Kinesiologist. Brianna graduated UBC with a degree in Human Kinetics and Psychology and is part of the BC Association of Kinesiologists. She continued education at the Canadian School of Natural Nutrition as well as Precision Nutrition. These workshops are open to all of our students and parents, and are a required part of our Pre-Professional Academy program. 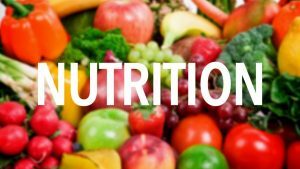 Basic Nutrition will provide parents and students with a foundation of knowledge in nutrition required for athletes and non-athletes alike. Subsequent nutrition workshops will then delve into more specific areas, covering the particular requirements of elite athletes and dancers. Admittance is free of charge to our families and staff, and $25 for non-FVAD attendees. We would like as many people as possible to expand their knowledge and understanding of health & wellness in general, and also as specifically relates to dance training. Those not currently enrolled at FVAD may attend if space is available as of Friday, November 24. Entry donations of $5 (or any other amount) will be gladly accepted to cover the costs of running these workshops.